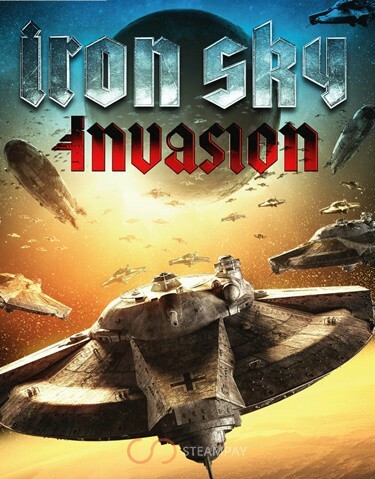 The key from Iron Sky: Invasion will be displayed on your screen immediately after payment, and will also be delivered to your e-mail, which was specified upon purchase. The greatest threat in the history of mankind is just around the corner: the Nazi army that has risen from the ashes is planning its offensive from far space. The armada of the ships of the Fourth Reich, built on a secret lunar base, will fall upon the Earth, sowing terror and death. In the game Iron Sky: Invasion, which takes place during a key battle from the movie of the same name, the player becomes a fighter pilot of the latest model and will be able to test his strength and skill in aerial combat. The main goal of the game is to protect the Earth and its space objects from enemy attacks, smash as many Nazi ships as possible into small pieces, find and intelligently manage the necessary resources and survive for the battle in the decisive battle, in which the main secret weapon of the Fourth Reich waits for reckless braves who dare pick up a hammer to perpetuate their names on the tablets of history.